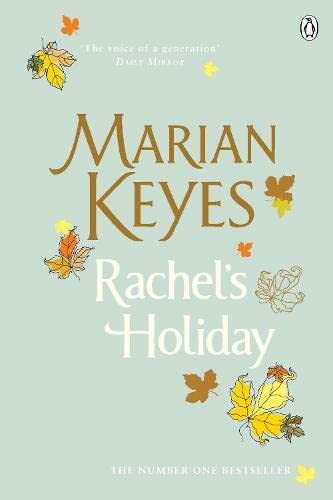 I adore Marian Keyes books, and can easily and happily re-read them many times! Rachel's holiday charts Rachel's overdose on drugs, her stay in a rehab clinic and her slow recovery. Whilst this subject matter may not lend itself to a 'rollicking good read' (my words! ), this is a great novel, funny, sad and moving. Keyes manages to make the reader examine their own life and emotions, feelings about love, work, families and life generally. Wonderful! Will take this to the Zurich meetup next week for Scarletbea in trade for "Music and Silence"
Came home with me to decide among 2 books, which one was the trade with nice-cup-of-tea. This is a truly amazing book! I loved it, and I think it's missing out on lots of good and important readers that are put off by the cover, the colours, the font and the general 'chick-lit brainless' appearance. A story about addition and recovery, and the *bloody hard way in-between*. Received back from ScarletBea - thanks!